Thanks to everyone for their help in keeping the Slug-Lines.com website the most active and popular slugging website in the DMV!!! It's a great way to commute! 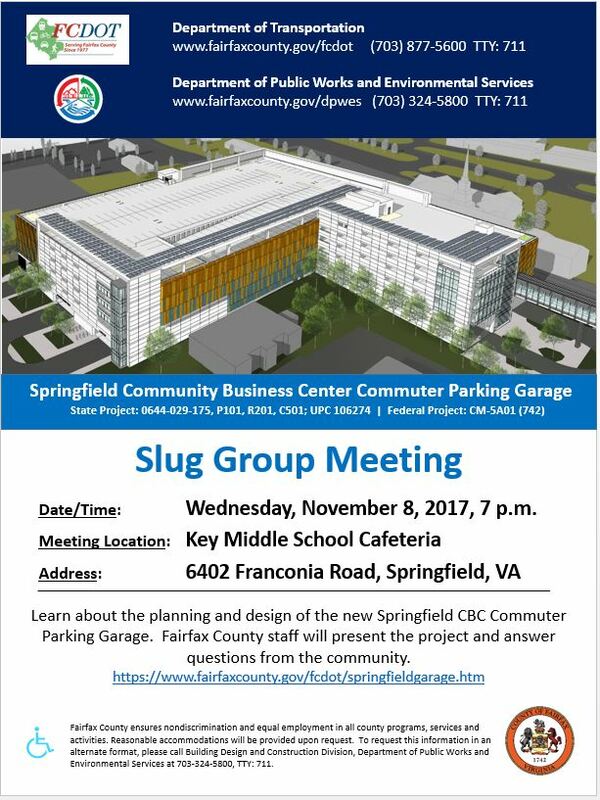 There are plans to construct a new commuter garage at the current Old Keene Mill Park-and-Ride site (7039 Old Keene Mill Rd) next to Sunoco and Fairfax County DOT wants slug input!! This is great news for DOT to ask for our input prior to construction. So, Slugs, let your voices be heard! !